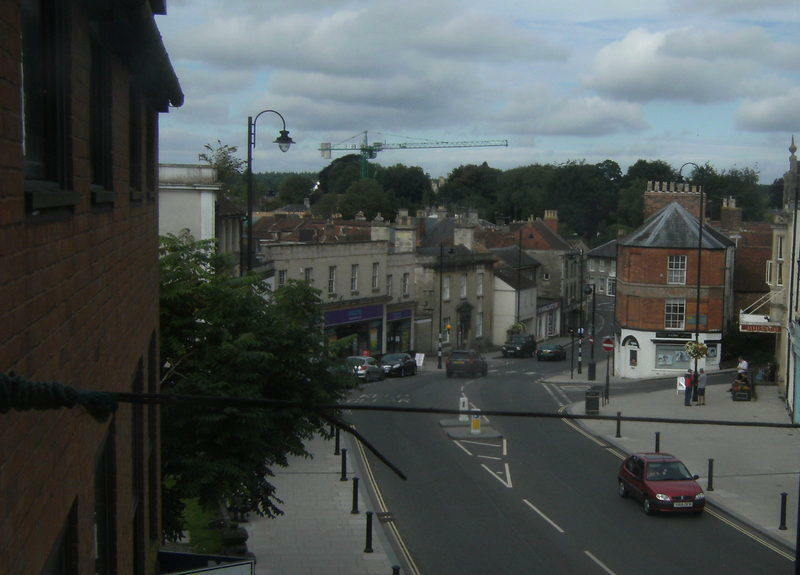 WILTSHIRE Council has confirmed in a letter to the Warminster and Villages Community Partnership that it has no powers available to do anything about the scaffolding in Warminster High Street. The scaffolding has been in place at 3 High Street for a number of years and there has been a continual demand for 'something to be done'. 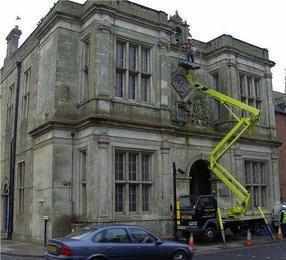 Now the chairman of the Warminster and Community Partnership has made an enquiry and been told that the use of a section 215 order here would not be appropriate as the site isn't untidy enough and the use of legislation designed to protect historic buildings would not achieve anything more positive. That leaves the use of the Compulsory Purchase Order but here the officer writing the letter, Helen Garside, reveals the crux of the problem - money. "Unfortunately the resources and the costs involved in pursuing such a process, which can take several years, are very substantial," she said. "In the current economic climate the council's resources are obviously severely constrained and those available for conservation are minimal, such that there is currently no dedicated budget or resources in terms of manpower available for conservation of this nature." Cllr Steve Dancey, said: "The truth has come out - the impotence of the council in this matter is down to lack of money - perhaps due to bad management on the part of councillors - after all there's no chief executive to blame now. "The failure to use a section 215 order is astonishing as little more than a mile south of here, at Crockerton, the council is using just such an order at an address where the alleged untidyness is hidden from public view. "But then those coming under fire from the council in Crockerton are pensioners not a company backed by a legal team. "I'm ususally pretty unimpressed by the comunity partnership idea - it is garnish used to try hide the fundamentally undemocratic nature of the county council which is led by a clique of politicos called the cabinet dominated by a leader. But in this case well done to the partnership for flushing out the real story. "So don't expect to see the scaffolding removed in the next five years at least." The building at number three has had a number of uses over the years but is now in a very poor condition. In the 1960s it housed a very dynamic white goods business run by Bristol entrepreneur John James but in more recent times it has been home to outfitters Hodges, Dunne and Co, Ciro Cittero and most recently a charity shop.